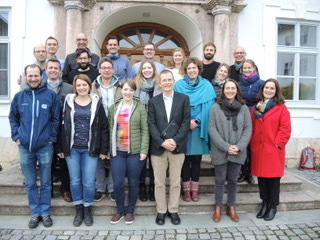 In November, the research group COSIMA has met for a three-day research retreat for the second time on the Frauenchiemsee Island. The main goal of the retreat was to identify open questions across the projects and to further develop underlying theoretical models. One focus was set on the further development of model for the development of diagnostic competences. Additionally, we attended a workshop organized by Dr. Marc Lazarovici that dealt with the design and development of simulations. The research group used the three days for a stimulating exchange within and between the projects as well. We are looking forward to our next retreat together!